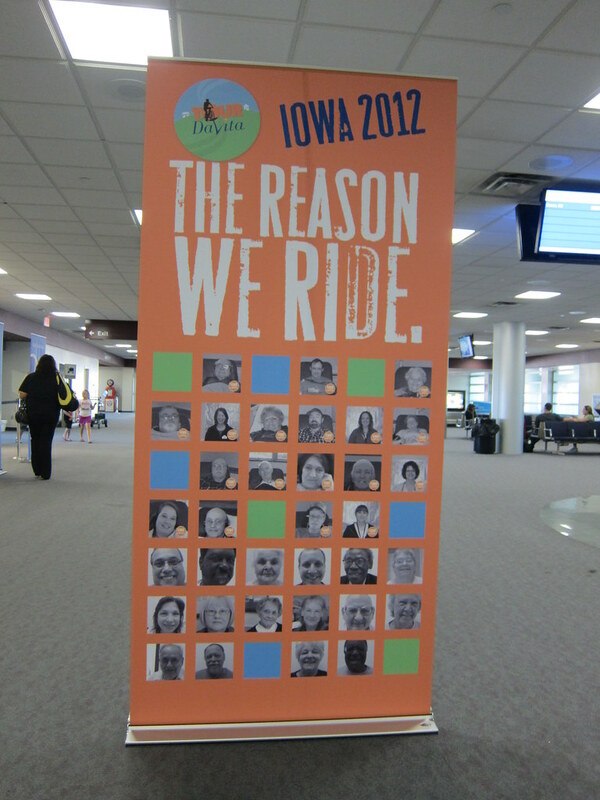 The Green Girl and Lexa rode 267 miles across the cornfields of Iowa over the course of three days and completed their second Tour DaVita. 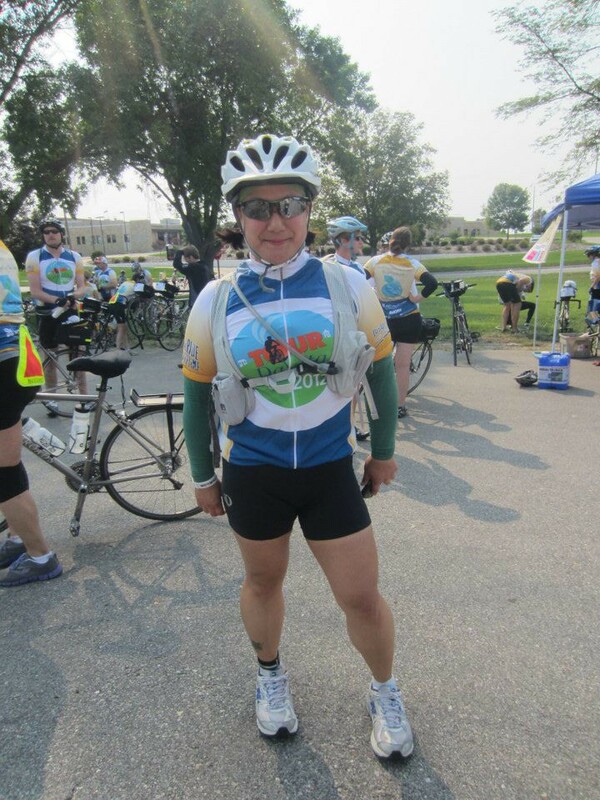 This year's tour raised over $900,000 to benefit The Bridge of Life – DaVita Medical Missions. The Bridge of Life is dedicated to improving kidney health and saving lives by bringing treatment, education, and hope to underserved communities around the world. Since its inception in 2006, the organization has conducted Medical Missions in Ecuador, Guatemala, Mexico, Cameroon, Kenya, South Africa, India, Jamaica and the Philippines. Once again, the theme of the tour was 'The Spirit of the Ride'. We were asked to 'Create the Spirit of the Ride', 'Respect the Spirit of the Ride', and 'Remember the Spirit of the Ride'. 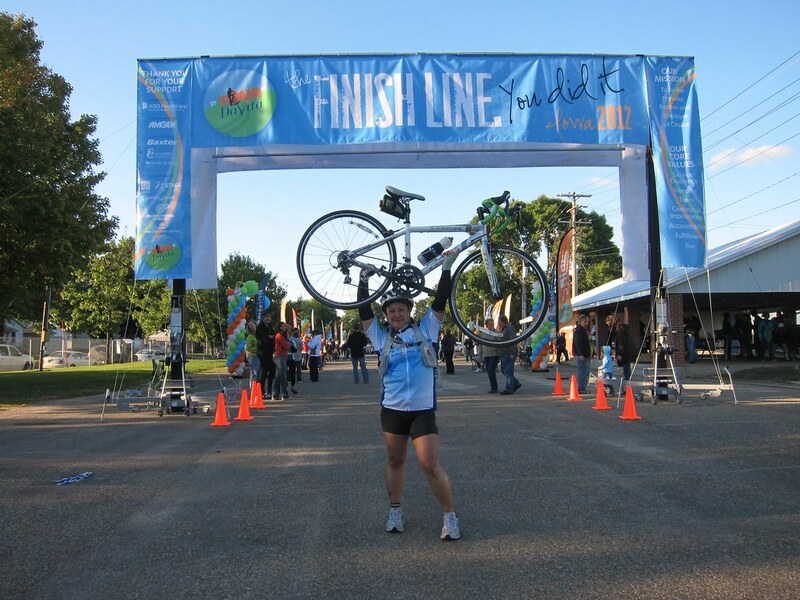 Tour Davita is a fully supported endurance event. 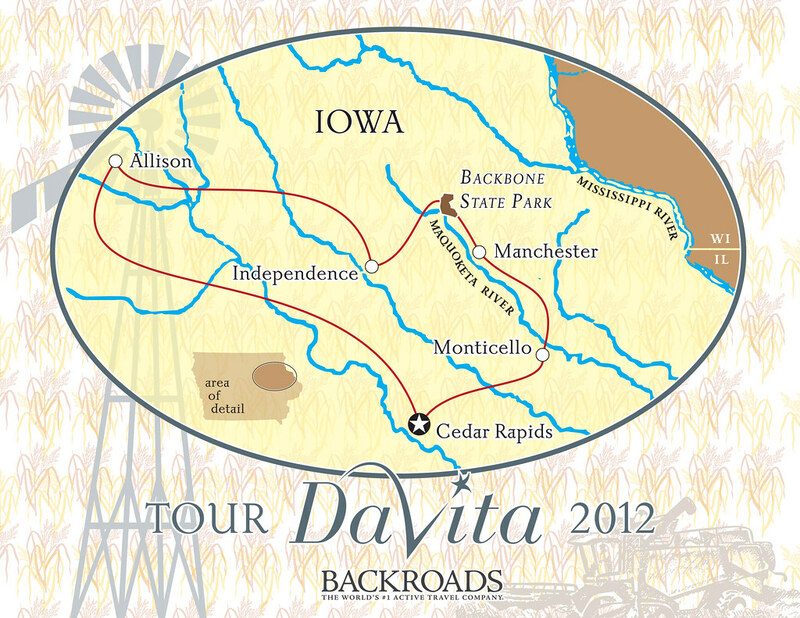 DaVita partnered with an active travel company, Backroads to make the 'The Moving Village' come to life. While we were out riding, the Backroads crew would tear down the campsite and transport everything to the new location. Upon our arrival each evening, our bags were waiting for us in our respective tents. FEMA trailers provided mobile shower facilities complete with hot water. All the meals for the duration of the tour were catered. 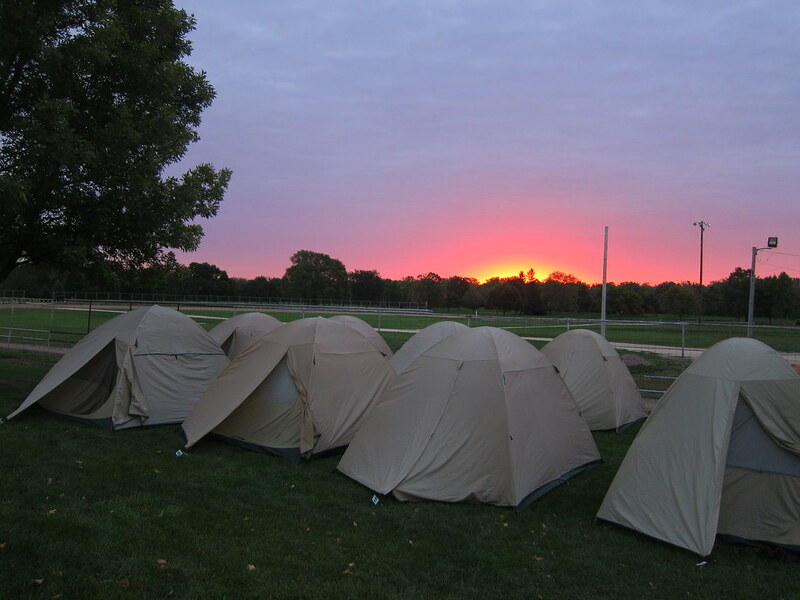 Amenities such as a Village Store, a charging station, and laptops were thoughtfully provided at each campsite. 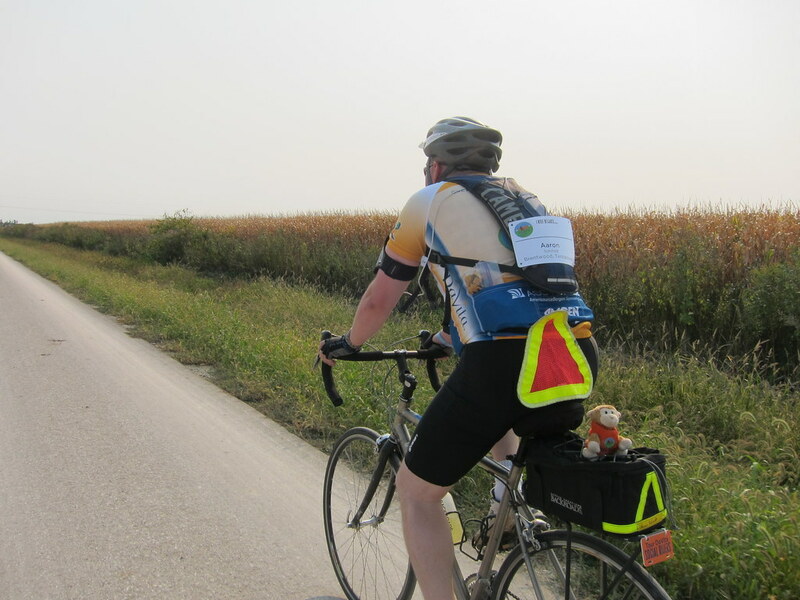 Tour DaVita - Day 1 was 77 miles from Allison to Independence. 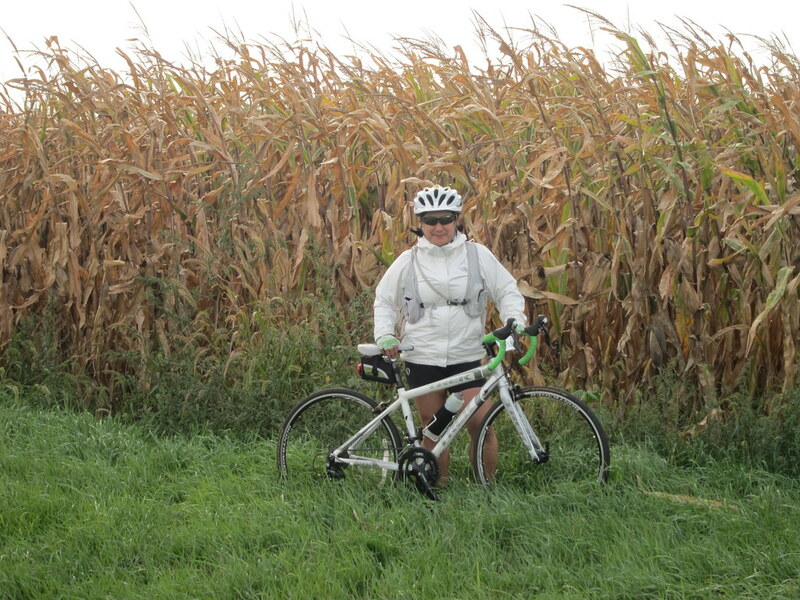 The headwinds were relentless and the flat cornfields offered little respite. In true 'Spirit of the Ride' fashion, Lexa and I tried to offer some wind resistance by riding in front but unfortunately, we were told we were too short for drafting. I guess paceline leader is not in our future. 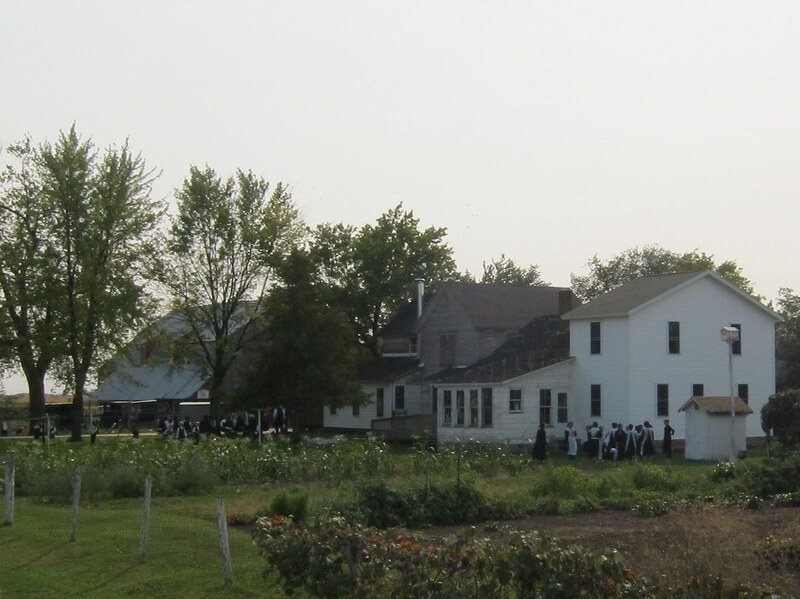 One of the highlights on Day 1 was riding through the Amish community. 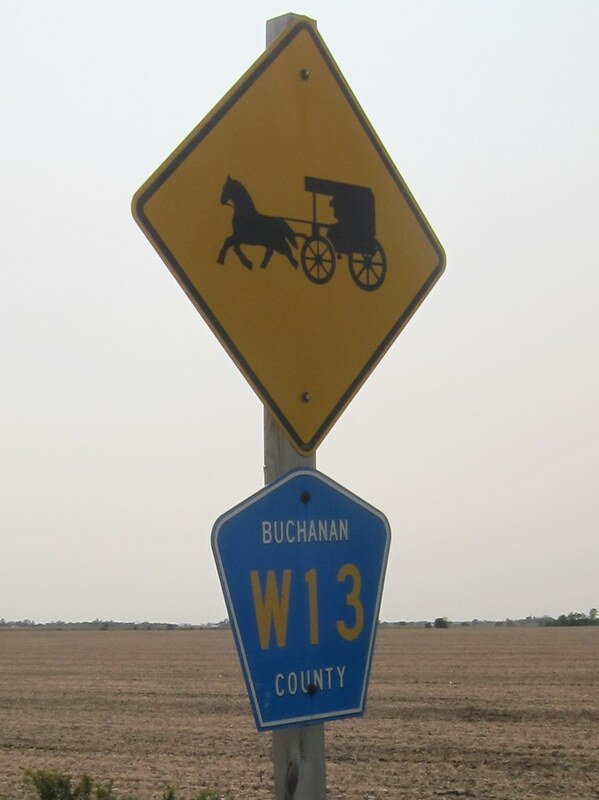 We saw Amish horse-drawn buggies and wagons. We passed a large, white house with a number of buggies parked outside and many young boys and girls in the yard. Since it was Sunday, it was assumed that they had gathered to attend classes of faith. The girls had on simple black dresses with long sleeves. Many of them also had on white aprons. The boys were dressed in long pants, shirts, and suspenders. A few boys had felt hats on their heads. 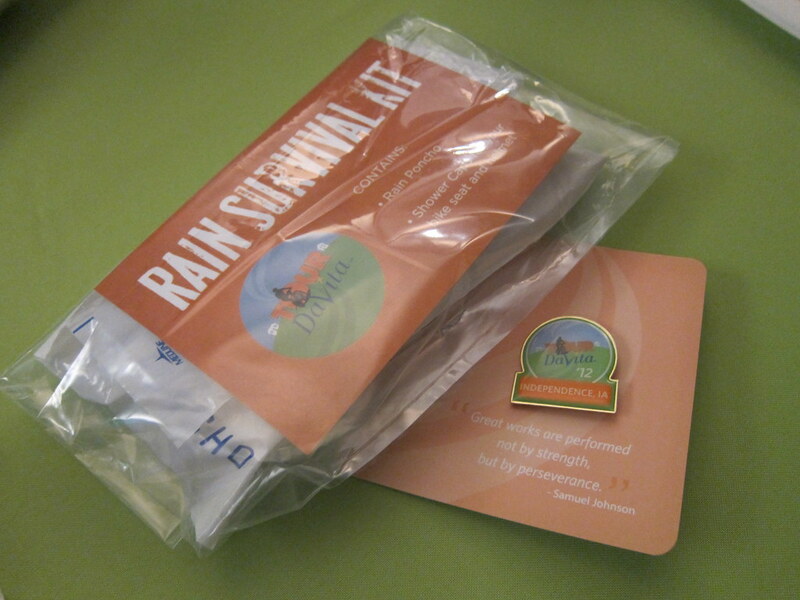 At dinner, we were all given an official Tour DaVita Rain Survival Kit in the event of 'liquid sunshine' on Day 2. Tour DaVita - Day 2 was 80 miles of rolling hills from Independence to Manchester. Cedar Valley Waverly Dialysis helped us kick off Day 2 with a clinic visit. The facility teammates were very warm and welcoming. They had gone out of their way to come in on their off day to show their support for our Tour. The Univeristy of Northern Iowa marching band provided entertainment in the packing lot of the facility. A dialysis patient spoke and reminded us what Tour DaVita was all about. Day 2 was significantly colder than Day 1 and the fierce headwinds continued. We encountered some light rain mid-morning. After miles and miles of dry cornfields, the lush foliage of Backbone State Park was the highlight of Day 2. Lexa and I delighted in seeing the first glimpses of Autumn colors. 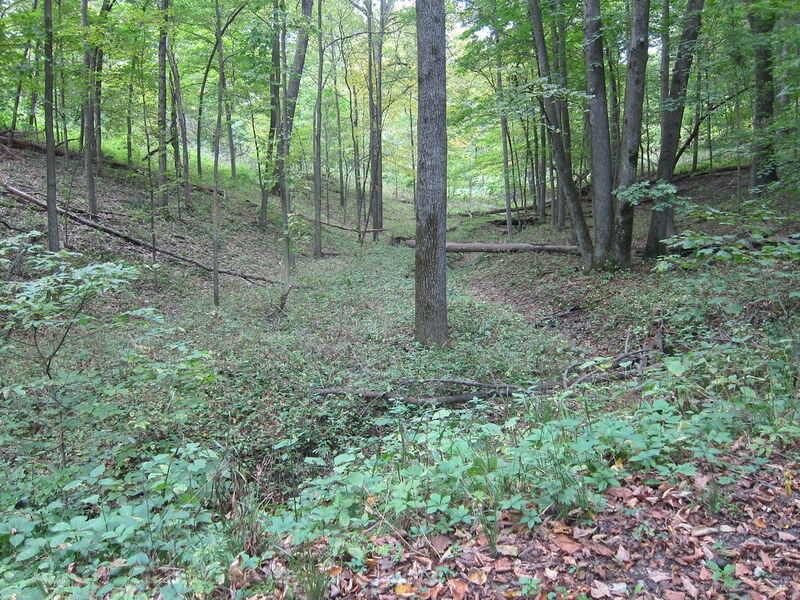 When we reached Independence, I went for a short, therapeutic run. Tour DaVita - Day 3 was a 107.2 mile loop from Manchester around Montecello. Day 3 was also the hilliest of the Tour days. Lexa and I quickly discovered no matter how quickly I pedal downhill, everyone passes us - even riders who aren't pedaling! Lexa and I rode further than we've ever ridden before and crossed the Finish Line of our second Tour DaVita. I want to thank everyone who helped me raise money for The Bridge of Life. I also want to give a very special thank you to my teammates at the CasITa. Your support means more to me than you will ever know. Thank you from the bottom of my heart. Wow. What a great cause and what a lovely ride as well! Loved the pictures. Looks like a lot of fun. Congratulations on a job well done! Congratulations and thank you for sharing. You are my hero. Congrats on a seriously long three days of riding and your longest single day ride yet! Looks and sounds like the ride support was top notch. Living in a cornfield state myself, I know those brutal head winds pretty well. Hopefully it was a nice tail wind for your longest segment. Thanks for sharing all the pics too! You are totally making me homesick! I didn't know you rode though UNI; that is my alma mater and I just love that are; so incredibly beautiful (in it's own way, of course :)). So proud of you ... I know it was a tough week beforehand; so glad you had a enjoyable ride! Oh my gosh! What an incredible weekend of riding for such a worthy cause! I'm proud of you girl!!!!! !